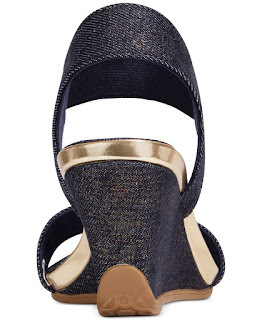 Have you guys noticed the resurgence of the denim shoe trend? 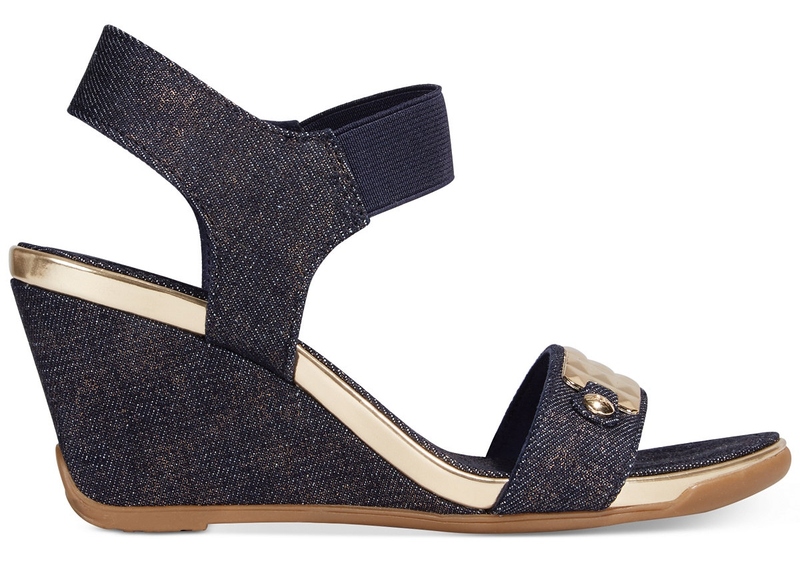 DArk denim is not just for jeans anymore. The classic fabric is turning heads, and heels, in footwear. 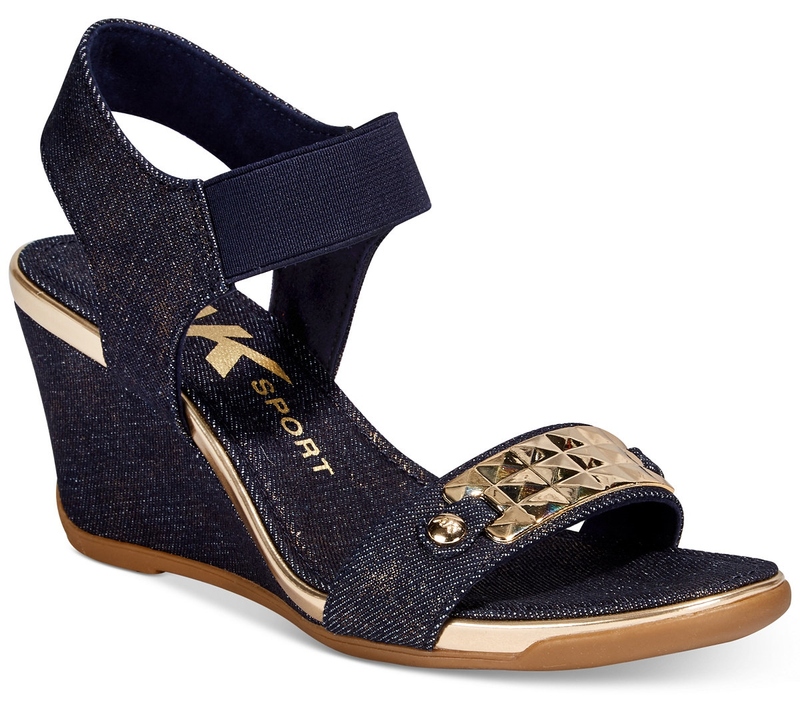 One of our favorites is today's Shoeography Shoe of the Day, the Anne Klein Sport Latasha Wedge Sandals. These stylish wedges boast a chic dark denim upper, metallic hardware at toe cap, matching gold leather trim surrounds the entire footbed, ankle strap with an elastic front for easy slip-on/off, rounded toe, double-density footbed with latex for added comfort, and a 3" wedge heel. These normally retail for $70.00 but they're currently on sale for half their price on www.macys.com for guilt-free denim days.